Home to a large range of modern garden dining sets, Westminster Outdoor Living produce completely weatherproof outdoor dining sets. Westminster dining sets come in sizes from 2 to 8+ seats and are always at the cutting edge of design. 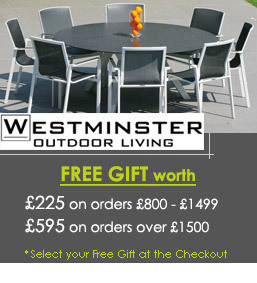 Whether you’re looking for a small 2 seater woven dining set or a large extendable Aluminium dining set like the extremely popular Madison 10 seater set, Westminster are sure to please. 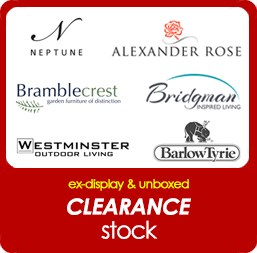 We have Westminster dining sets on sale online or in our Dorset based showroom. If you have any questions at all, please just feel free to contact us and we will be happy to help.